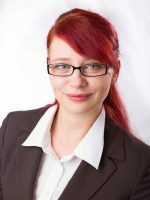 Juliane Neumann studied Computer science with focus on medical informatics at the University of Leipzig and graduated in 2014. During her study she already worked for ICCAS as a student assistant and additionally in the domain of analysis and optimization of medical processes. In October 2014 she joined the research group Model-based Automation and Integration (MAI).